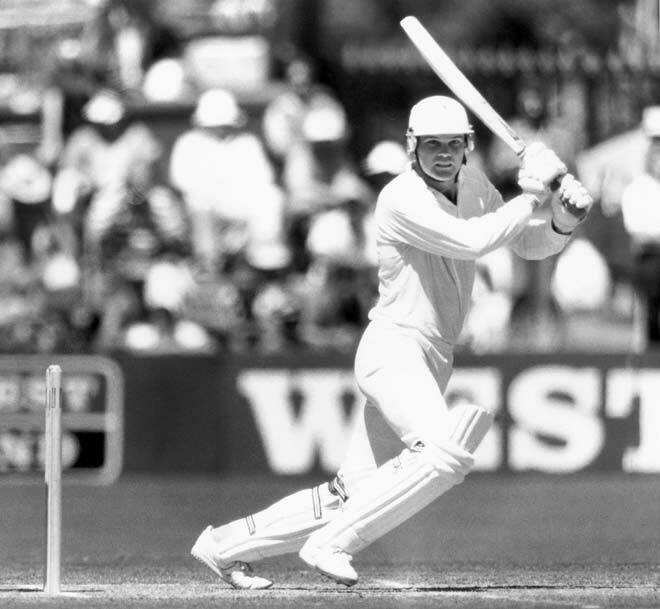 During the 1980s, the decade of great success for New Zealand cricket, Martin Crowe was the outstanding batsman. By the time he retired from test cricket in 1995 he had scored the most runs by any New Zealander (5,444), made the most centuries (17), made the highest score (299), and had the highest batting average of any New Zealand player with over 20 matches (45.36). In 1987 he became the first first-class cricketer in 40 years to score more than 4,000 runs in a calendar year. In February 1991 he combined with Andrew Jones in the highest partnership for any wicket in test cricket up until that time – 467 runs. He is the only New Zealand player to have scored more than 10,000 runs and averaged over 50 (56.02) in first-class cricket. Crowe was a stylish right-handed batsman from Auckland, whose brother Jeff was also a proficient test batsman, and, like his brother, captained his country. He was a good medium pace bowler as a young player, an outstanding fieldsman, and an innovative captain, especially at the 1992 ICC Cricket World Cup.